When I was a kid my mom loved mushrooms. Well she still does but back then I thought they were gross. She would make stuffed mushrooms when people came over, she would order mushrooms on her pizza, and she would even get mushrooms as a side dish. I couldn’t understand why she would enjoy eating something that was in the fungi family but she has always loved them. Fast forward 20 years and I tried a stuffed mushroom at a party. Surprisingly I found they were delicious! 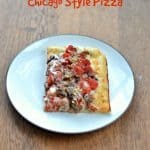 Soon I was eating stuffed mushrooms, mushrooms on my pizza, and even portabella burgers! I had to apologize to my mother for making fun of her for eating mushrooms all those years ago because now I eat them just as much as she does. 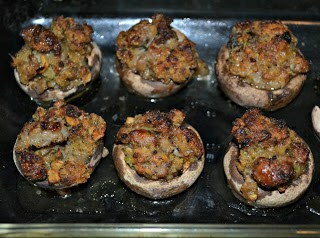 We often have friends over for snacks and desserts and one of the snacks I like to make are stuffed mushrooms. I like making them because they are easy, people really like them, and they can be stuffed with all sorts of different things. 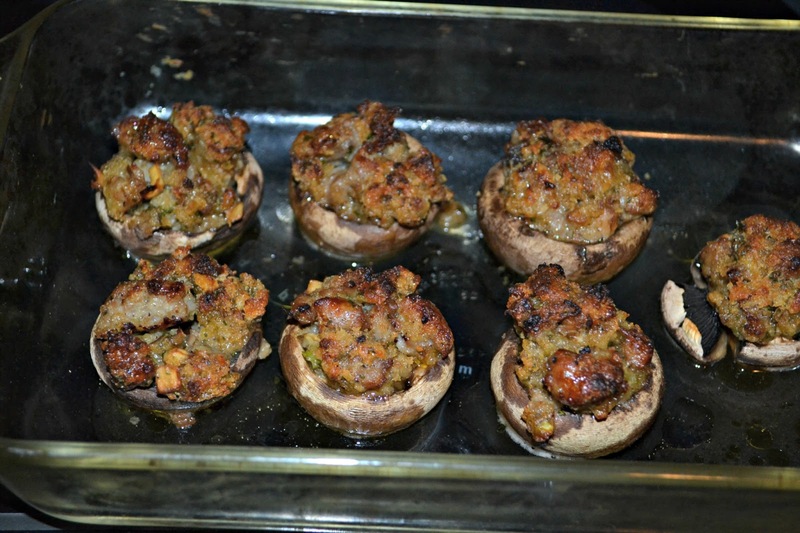 While I normally end up stuffing them with a vegetarian stuffing every once in a while I get crazy and add sausage. 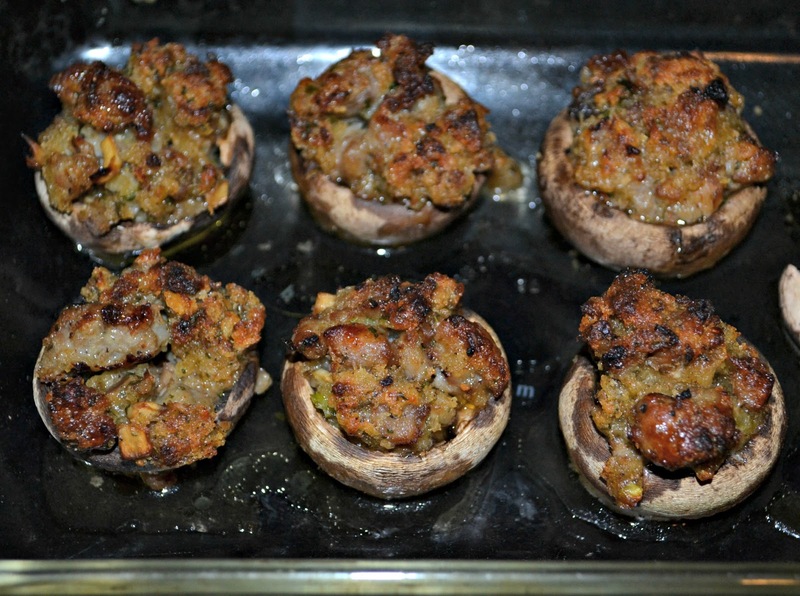 I like these sausage stuffed mushrooms because not only do they have sausage, breadcrumbs, and mozzarella cheese, they also have mascarpone cheese which makes a smooth and creamy filling. 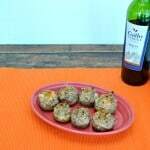 The herbs and seasonings really make these tasty and the sausage makes them a heavy appetizer. 2. Remove the stems from the mushrooms and chop them. 3. Place the mushroom caps in a small bowl and toss with 1 tablespoon of olive oil and the wine. Set aside. 4. Heat the remaining olive oil in a large skillet over medium heat. Add the sausage and crumble. 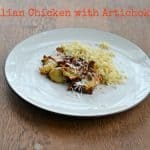 Cook for 8-10 minutes or until it is browned. 5. Add the chopped mushroom stems and cook for 3 additional minutes. Stir in the scallion and garlic and cook for 2 more minutes. 6. Add the panko and stir until well combined. 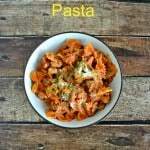 Finally, swirl in the mascarpone and continue cooking until it has melted and the sausage mixture looks creamy. 7. Remove from heat and stir in the mozzarella, parsley, salt, and pepper. Cool. 8. 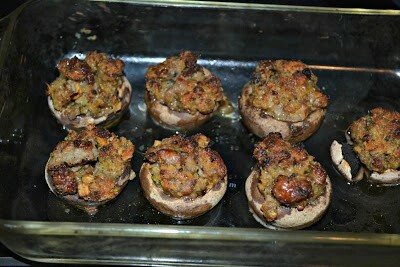 Fill each of the mushroom caps with the sausage mixture and place in a glass baking dish. Arrange the mushrooms in a single layer and bake for 30 minutes or until the stuffing has browned and begins to get crispy. OMG, these look delicious. I think they will be PERFECT for Sunday football!! Thanks for giving mushrooms another try!